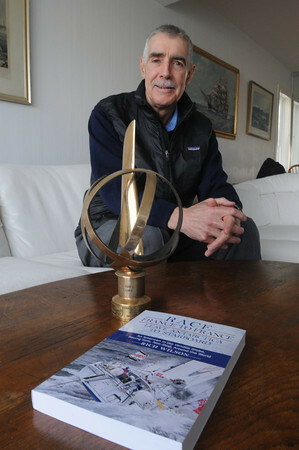 Rich Wilson of Marblehead, who wrote a book about a race he sailed around the world. The Vendee Globe trophy that he won for the race is in the foreground. Photo by Ken Yuszkus/The Salem News, Tuesday, February 12, 2013.